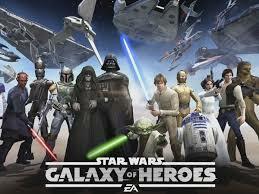 Star Wars™: Galaxy of Heroes is a game developed by EA. This is one of the better Star Wars games that is currently out in the mobile market. It has very distinct similarities with Summoners War and Elune Saga, which are turned based strategy games with the auto battle function. With this being a turn based game, you need to find the optimal setup to fight against your foes. Each character has a health(green) and turn meter(blue). Each hero can use 2 abilities which can be used based but with a cooldown. The turn meter determines who moves next when it is full. A character with high speed will fill up the bar faster than slower ones. You start off with very basic heroes and they can be upgraded as you acquire more resources. Other new characters can be unlocked by collecting specific shards for that character. You can get free cheap heroes, but to get the better ones, you will need to use the data cards, which can only be gotten via real money or in game from missions and quests. The chromium data packs are good if you get the 4X or 8X bundle since you get a small discount. Credits are used to train & promote characters, buy shipments, and craft gear. Crystals are used for data cards, shipment crates and energy recharge. Cantina Credits are earned by winning Cantina Battles and used to buy items in Cantina Shipment Crates. Energy is replenished over time and is used for missions. Arena Tokens are awarded by completing Squad Arena Battles and are used to purchase Arena Shipment Crates. Ally Points are granted by using allies and someone using your Leader as their 6th party member, and are used to purchase Bronzium Data Cards. War Tokens are awarded by defeating enemies and opening chests in the Galactic War map and are used to purchase Galactic War Shipment Crates. Sim Tickets are awarded in various battles victories. You get a free battle win for those missions that a player has already achieved a 3 star in Victory. Keep in mind that credits will become more valuable as you progress to the latter stages of the game(35+). Character promotion gets expensive and the credits you gain won’t make up for it. So make sure to save credits for your best characters. As for gearing your characters, you can do so by clicking an empty gear slot and equipment any available equipment found via quests, missions or from gifts. Higher tier gear is much harder to get and require that you do hard missions. You need all the sub components to craft the optimal gear you want. Let’s go over some of the abilities that each character can potentially have. It is important to find the best synergy to craft your team for maximum effectiveness. I will be expanding this section as I progress through the game. As for battle effects, green boxes indicate beneficial statuses while red boxes indicate bad statuses. Advantage: Physical and Special type attacks are mitigated by a character’s Armor and Resistance. Advantage allows for +100% Defense Penetration of those stats hitting for the full amount. The effect is lost if the hero with Advantage is attacked twice. Critical Chance Up: This buff increases the Physical and Special Critical Rating by 25%. Defense Up: Increases the Armor and Resistance of a Hero by 50%. Evasion Up: Adds 10% to the dodge stat which governs the chance of avoiding any physical type damage entirely. Foresight: Grants a Hero 100% Evasion chance against one attack and then it expires. 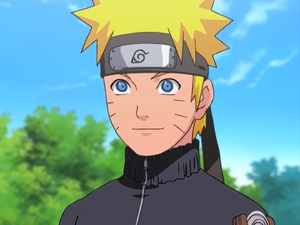 Health Up: Increases the maximum health of a character based on the percentage gain in the ability it generated from. Offense Up: Grants a bonus of 50% to Physical and Special damage stats. Potency Up: High tenacity characters tend to resist debuffs often, so this buff increases the chance to apply detrimental or negative effects. Speed Up: Grants an ally +25% speed providing faster refilling turn meters for more actions per battle. Stealth: Stealthed characters are not directly targetable unless only stealthed heroes are remaining. Stealth expires when attacking. Taunt: Characters with taunt will force all opponents to target them until the effect expires. Ability Block: Prevents a hero from using their special abilities. Carefully time applying this debuff so it’s not wasted if the enemy’s special is on cooldown. Buff Immunity: Prevents a hero from receiving positive effects. Continuous Damage: This is a Damage over Time(DoT) effect that reduces health at the beginning of the character’s turn. Defense Down: Decreases the Armor and Resistance of a Hero by 50%. Expose: A character loses 20% of their health the next time attacked. Healing Immunity: Heroes effected by this cannot be healed. Offense Down: Reduces Physical and Special damage stats by 50%. Speed Down: Slows the turn meter down by 25% which reduces the amount of actions a hero can take during battle. Stun: Stunned characters will miss their next turn. Bomb: The thermal detonator grenade will explode and damage the squad based on the countdown timer of the ability.